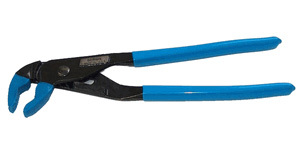 This pliers is adapted for the VSM G3 mounting brackets, assisting with the pressure fit of the ball and socket. The J Stem and the A Plate both can be challenging to get onto the ball by hand. The jaws of the pliers are coated to prevent scratching or marring of parts.